Have you ever wanted to use your gold to pay for everyday purchases? Now you can with a gold-backed debit card. In the wake of Brexit, trade wars, and the European Debt Crisis, investors have renewed interest in diversifying their assets beyond fiat currency. While I’m not one for conspiracy theories or doomsday predictions, I think that diversification is always a good idea. This may be a side effect of my Midwestern, Protestant upbringing, but I always make sure to cover my financial downside. I keep my assets diversified to make sure that I can live comfortably even if something falls through. So, if you’re looking to diversify beyond fiat currency, you generally have two options – cryptocurrency and precious metals. Cryptocurrency has become the latest trend among young investors, but the crypto market is new and unstable – especially as the values of Bitcoin, Ripple, and Ethereum have fallen dramatically. Others have looked toward precious metals. Gold and silver were money before money existed, so they’re a safe and stable investment. However, the problem with gold and silver is that their practical uses are limited. Unlike cryptocurrency, which is becoming a more common method of payment, options for making purchases with gold bullion or silver coins are rather limited. Most stores and restaurants aren’t going to accept gold bullion, and even if you find somewhere that does, transporting it can be difficult – if not impossible. Imagine walking through a jam-packed Shanghai subway or a Parisian food market with a bag full of gold bullion or silver coins. Doesn’t sound very pleasant, does it? In light of this lack of liquidity, financial institutions have created gold-backed debit cards that allow users to easily and directly convert precious metals to usable fiat currency. 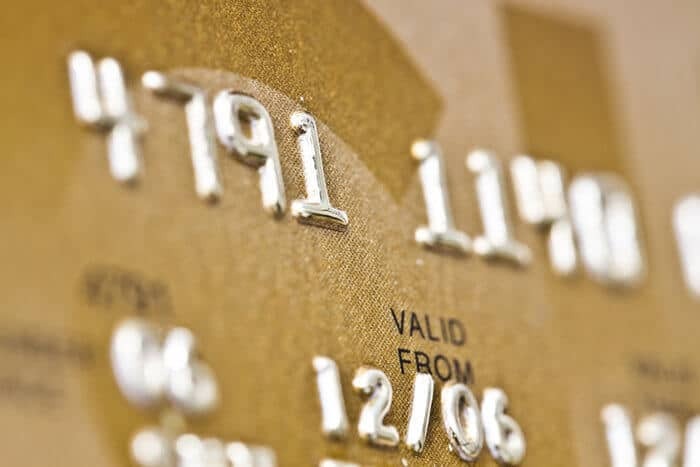 Gold-backed debit cards aren’t a necessity for most investors, but if you’d like to make your precious metal assets more liquid, they can be a useful tool. Whether you should consider getting a gold-backed debit card. Additionally, anyone who is new to investing in precious metals should check out my tips for buying gold to help you get started. Although it’s backed by precious metals, a gold-backed debit card works much like a normal debit card. How Does a Gold-Backed Debit Card Work? For the most part, gold-backed debit cards work just like normal debit cards. When you use a debit card, your bank logs the transaction and pulls the money from your account balance. With a gold-backed card, this takes a few more steps, but the general process is mostly the same. When you run your gold-backed debit card at the store, your bank will convert the purchase from fiat currency to its value in gold or silver, and it will then withdraw that money from your precious metals storage account. However, while making purchases with a gold-backed debit card is simple and intuitive, setting up your precious metals storage account takes a few extra steps. First, you must set up your account and buy gold and silver. Some banks and companies require a minimum deposit, which can range from $100-$500. 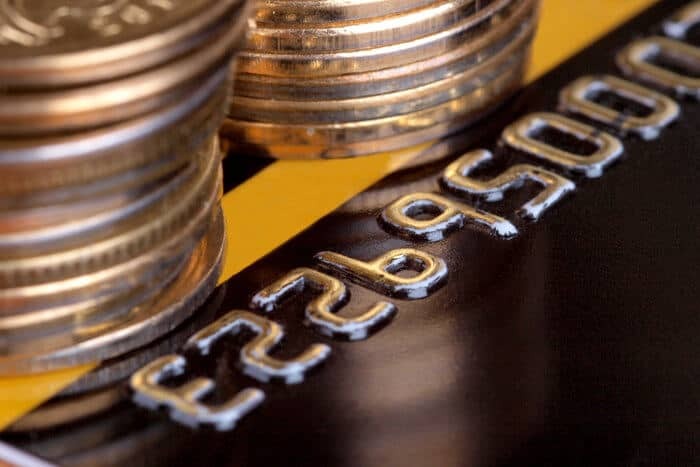 Due to the logistics involved in transporting silver or gold bullion, most banks that offer gold-backed debit cards require you to purchase your precious metals in-house. However, GolVerCard does allow you to use your own gold bullion and silver coins to fund the card. Then, when you make your deposit, the bank will set aside your purchase in a secured vault. 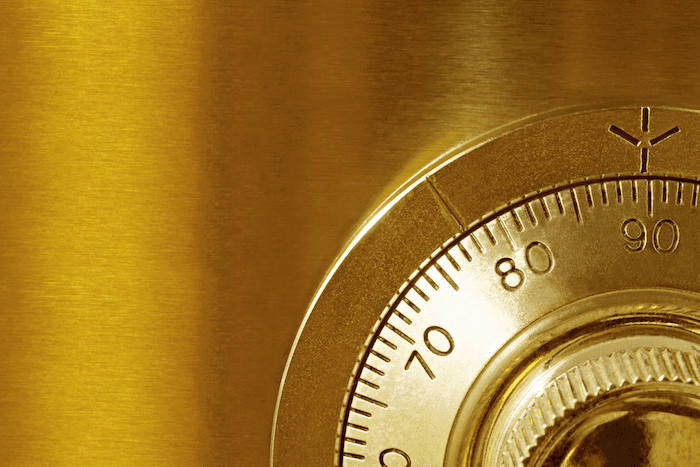 Most institutions that issue gold-backed debit cards store their gold in Switzerland, but Euro Pacific and GolVerCard use secured storage in other areas. Finally, once those steps are completed, you will be issued a debit card linked to your precious metals storage account, which you can then use as a regular debit card. 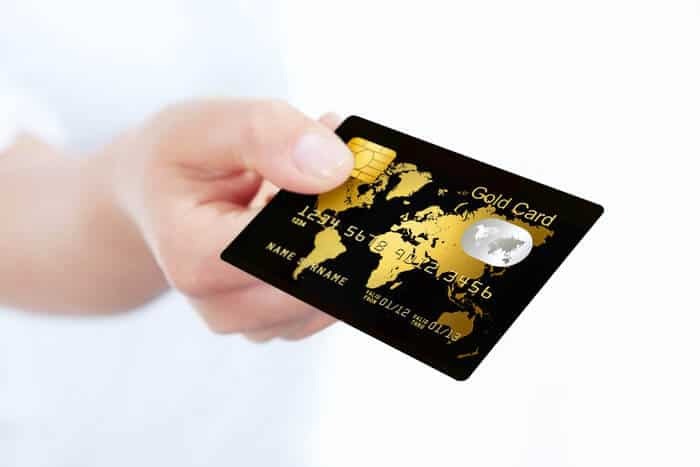 A gold-backed debit card can be a great way to increase the liquidity of your precious metal assets. Where Can I Get a Gold-Backed Debit Card? As investors seek ways to make their gold and silver assets more liquid, a handful of banks and companies have created streamlined services where users can set up a bank account, purchase gold and silver, and then receive a debit card linked to their precious metal assets. Euro Pacific Bank, GolVerCard, Glint, and VeraCash offer gold and silver banking and debit card services to their clients. If you’re a US citizen or permanent resident, keep in mind that these options may not be open to you due to US banking laws. Euro Pacific Bank is the most established institution that offers gold-backed debit cards. This institution offers premium transaction and investment banking services to its clients, so it’s a natural pioneer in the area of gold-backed debit cards. Euro Pacific has been in the business of gold for a long time, so while its gold-backed debit card is relatively new, its precious metals storage accounts are not. The bank is a licensed dealer with the Perth Mint, which is where it securely stores precious metals, and you can easily purchase gold and silver through the bank’s online portal. You will need an initial deposit of $500 to open your account. However, the bank does charge a small fee, ranging from .5% to 4%, when you buy and sell gold and silver through them. There is also a .95% annual fee for silver storage. If you decide to get a debit card linked to your precious metals storage account, then you will need to pay a one-time $150 fee as well. Due to its fees and minimum deposit, Euro Pacific Bank is best for more experienced precious metals investors who need the level of service that it can provide. Less experienced investors looking to just dip their toes in the water may want to look elsewhere for a gold-backed debit card. Unlike Euro Pacific Bank, GolVerCard exclusively focuses on providing a gold-backed debit card for its clients. 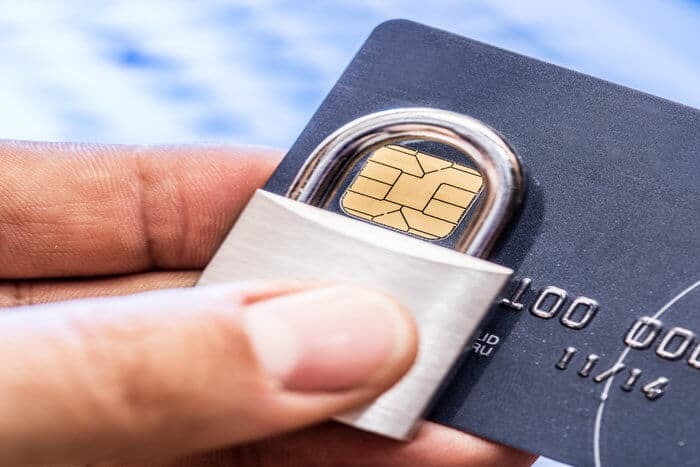 Additionally, it’s the only option that openly offers users the opportunity to use current precious metal assets to fund the card since its secured vaulting locations are more varied. However, you can still buy gold and silver through the company. GolVerCard also comes with a handful of other benefits, including a low initial deposit of $100, no transaction fees, and backing by Visa and Mastercard – which greatly enhances its usability. It also offers a unique program to entice high-level investors: a card made of actual gold and silver for investments over $10,000 and a solid, 24-karat gold card for investments over $30,000. GolVerCard is a good alternative to Euro Pacific Bank since it offers backing by major credit card companies, lower fees and minimums, and the opportunity to use your existing assets to fund the card. If you want to manage your gold-backed debit card from a user-friendly app, Glint may be the right choice for you. Glint is a UK-based company that makes buying gold easier for new investors. Users can make purchases and fund their gold debit card through the app, which only charges a nominal .5% fee on all gold and silver purchases and fiat currency exchanges. 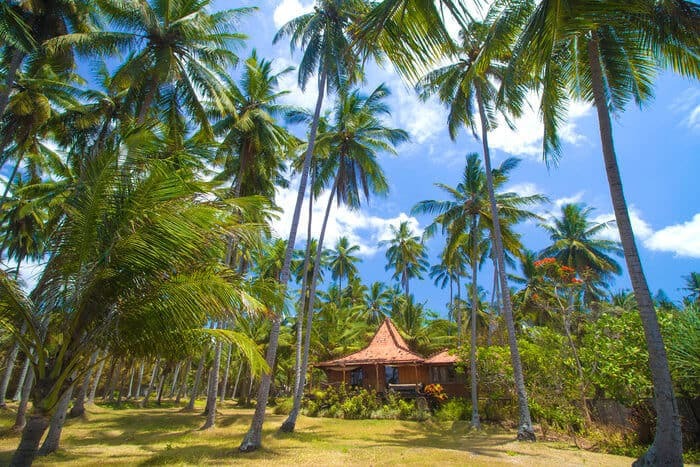 It also has no minimum investment required to open an account, making it an ideal option for investors looking to dabble before fully committing. However, while Glint has plenty of potential, it currently only accepts British Pounds, so you may be subject to fees if you use Euros or other fiat currency. Whether you’re a serious gold and silver investor or are new to precious metals, you have plenty of options for a gold-backed debit card. VeraCash is also quite user-friendly. You can manage your account through a streamlined app, and you can make purchases with a Mastercard-linked debit card. It also uses a unique system to manage its gold-backed debit card. When you first make a deposit, your fiat currency will automatically be converted into grams of precious metals. However, your balance is expressed in units of VeraCash, which is equivalent to the Euro. VeraCash doesn’t charge much in the way of transaction fees and doesn’t require a minimum balance, but its purchase management fees are fairly steep. The company takes a 3% commission on all gold purchases, 7% on silver, and 10% on diamond. There are also plenty of miscellaneous fees, including card re-issuing fees. VeraCash is therefore an interesting option for people in the Eurozone looking to begin investing in precious metals, but its fees can be a turn-off for anyone looking to make large purchases. Should I Get a Gold-Backed Debit Card? While a debit card linked to precious metals certainly solves problems with gold and silver’s lack of liquidity, whether you actually should get one depends on if you’ll actually use it. US citizens and permanent residents may not be eligible for many gold-backed debit cards due to US banking laws. 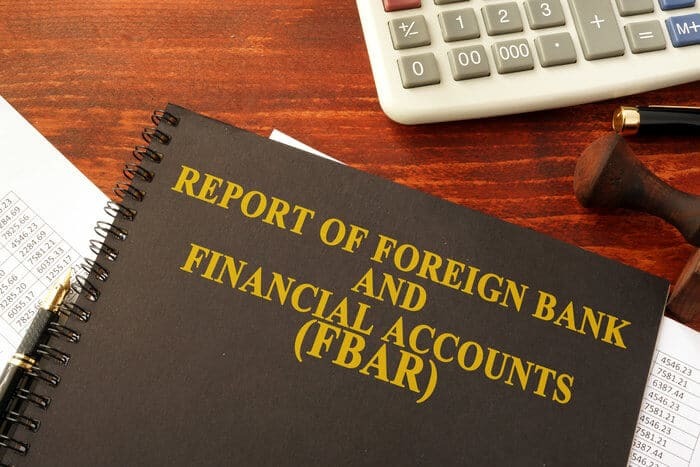 US citizens are barred from using Euro Pacific Bank, and for other options like GolVerCard, you should carefully check to ensure that you’re eligible if you’re from the US. If you’re new to investing in precious metals, then these gold-backed debit cards are a great way to get started. They streamline the process of creating a precious metals storage account, which can benefit new investors who may not want to commit thousands of dollars at first. On the other hand, this streamlined process can be a turn-off to more experienced investors who already have large stores of gold bullion. Although some gold debit card services allow you to use your own gold bullion and silver coins to fund the card, the logistics of doing so can be somewhat difficult. Additionally, whether or not you would actually use a gold debit card depends on your investment plan. Many investors also like to keep their gold and silver relatively untouched, so a gold-backed debit card would defeat that purpose. However, there are also plenty of good reasons to get a gold-backed debit card. It can be useful to have in case you need to liquefy some of your precious metal assets, and it’s an interesting tool for anyone who’s interested in precious metal investments. What makes the difference between being able to use a precious metals backed card or not as a US citizen? Please answer this question- why just caution us to “check carefully”?